This recipe makes the Best Glazed Lemon Loaf! 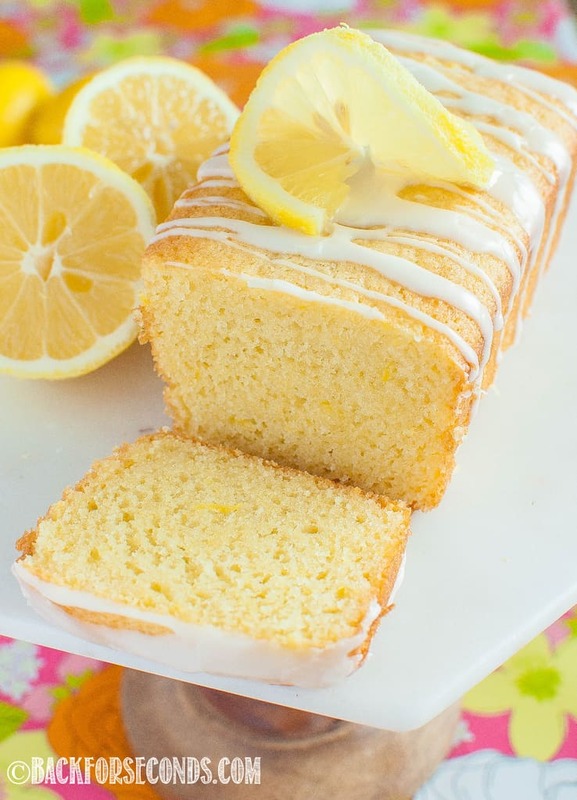 Moist and sweet with lots of bright lemon flavor. 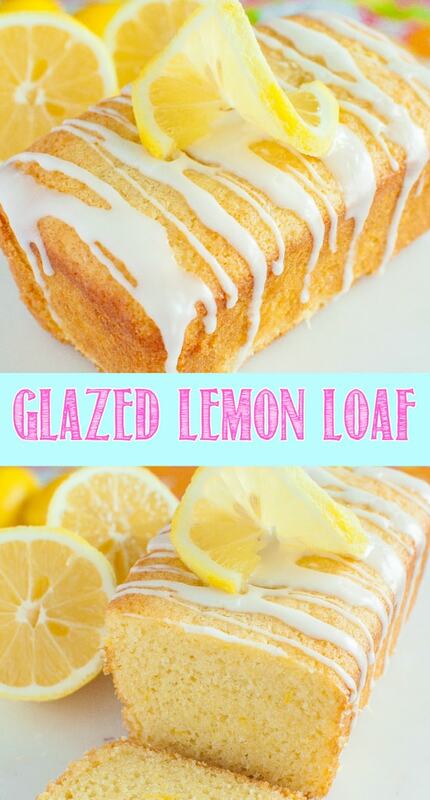 The glaze adds an extra burst of lemon. Perfect for brunch! This is one of those recipes that you will make over and over again. I made three batches, one right after the other, and my family is still wanting more! 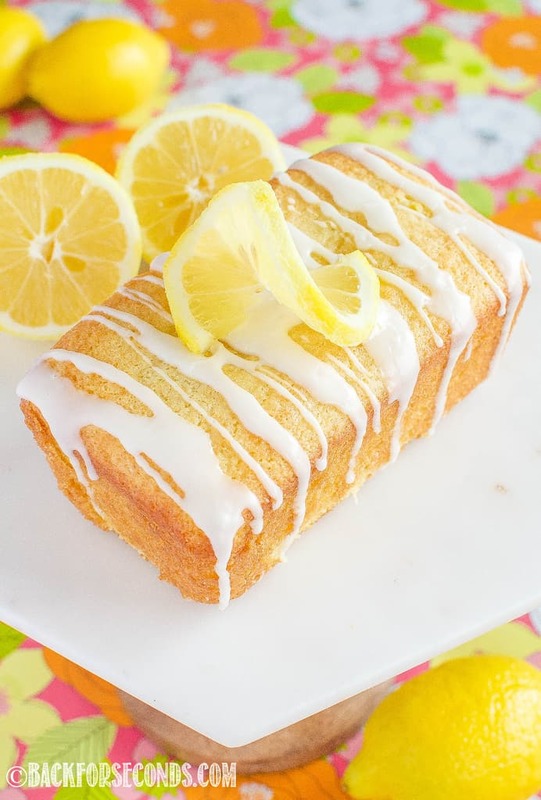 Even with the glaze, this lemon loaf is not overly sweet. The texture is like a cross between pound cake and banana bread, and you will be craving it morning, noon, and night! For some reason, when I made this lemon loaf for the first time, I was sure it wasn’t going to turn out how I wanted. I didn’t even taste it right away – I just handed it off to my kids as they ran over to the kitchen to see what I had made. They flipped for this bread! They were literally jumping up and down because it’s so good! I immediately regretted not taking pictures before letting everyone dive right in, because it was perfect!! 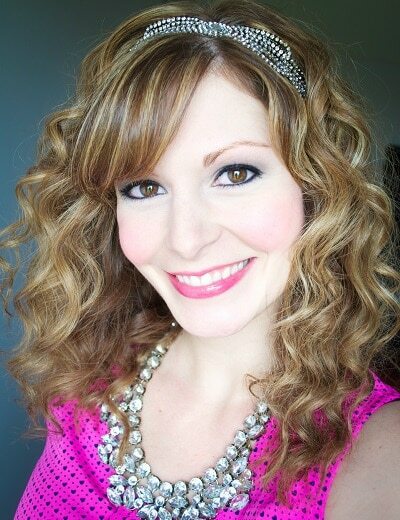 The very next day I made this recipe again – no modifications to my original recipe necessary! 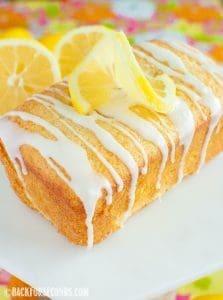 This time I took pictures so all of you could see this lovely lemon loaf and make one for yourself! One batch will make one large loaf in a standard 8.5 x4.5 loaf pan baked for about 55 minutes, or three 5.75 x 3″ mini loaves baked for about 25 minutes. If you plan to freeze this bread, freeze it plain and add the glaze after thawing, just before serving. This would make an excellent addition to your Easter or Mother’s Day brunch menu! 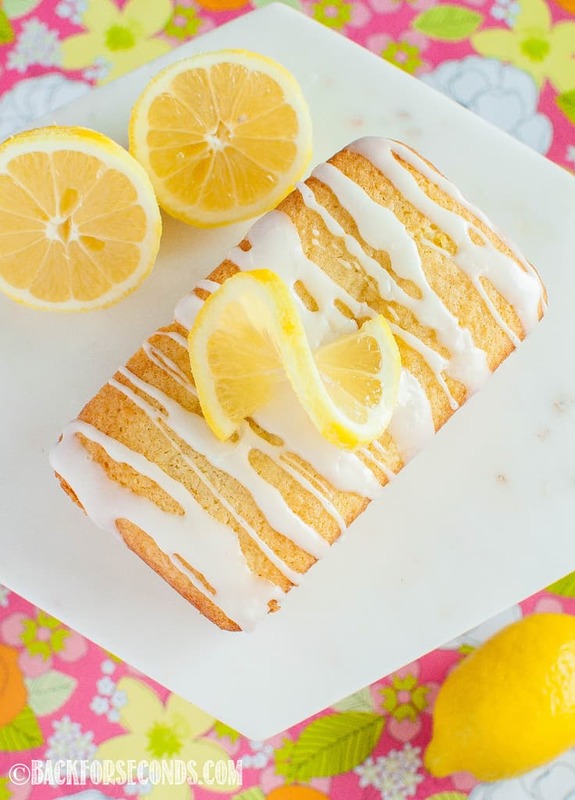 18 Lemon Desserts to Brighten Your Day! In a mixing bowl, cream the butter, oil, sugar, and lemon zest until light and fluffy. Add the eggs, one at a time, mixing after each addition. Add lemon juice, salt, and extracts and mix well. Add baking soda, baking powder, cornstarch and half of the flour and mix well. Add sour cream and mix again. Add remaining flour and mix until well incorporated. Grease loaf pan well and pour batter into pan. Bake 50-55 minutes or until tester comes out clean. Let cool and remove from pan and cool completely before glazing. In a small bowl, whisk together the powdered sugar and lemon juice until it is the texture of glue. Add more juice if too thick, or more sugar if too runny. Drizzle over loaf. Allow glaze to harden before storing in a lightly sealed container. *Back for Seconds is a participant in the Amazon Services LLC Associates Program and may earn a small commission on products purchased through these links. There is no added cost to you. Thank you for helping support us so we can continue providing you with free recipes! Like recipe. DO you have a good POUND CAKE reipe? I will work on that! 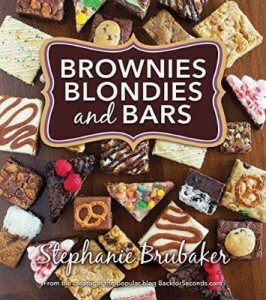 I love getting recipe suggestions from my readers 🙂 Be on the lookout!